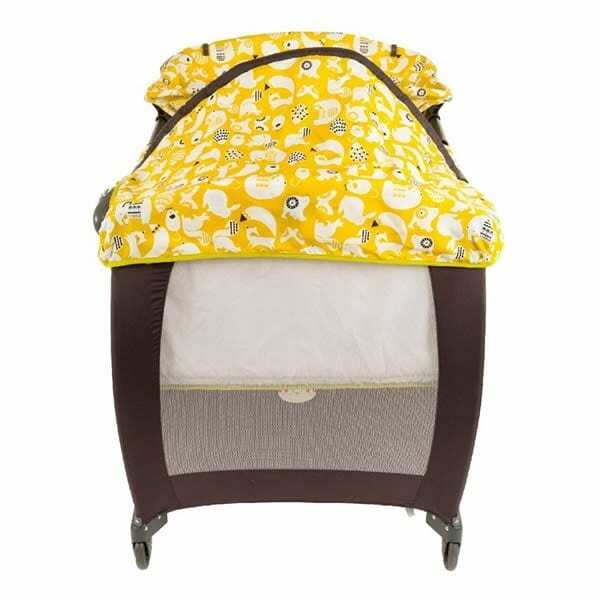 Graco Electra deluxe travel cot was specifically designed to calm your baby and help him fall asleep. 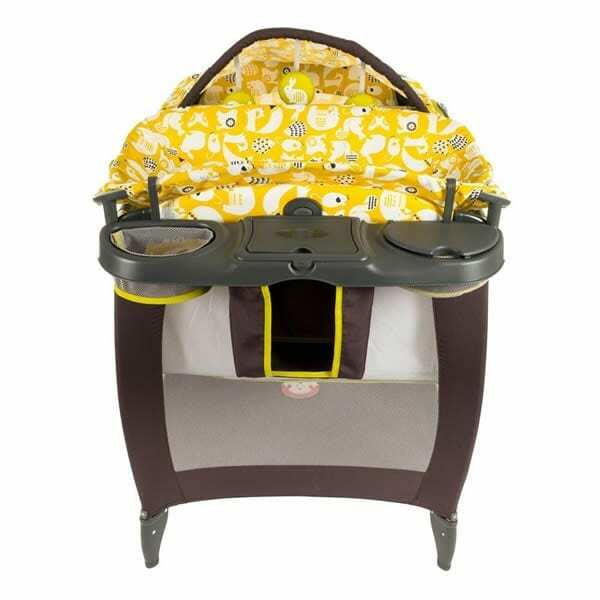 Includes a removable changing table for babies, and a Mobile with detachable toys, night light and various music settings. 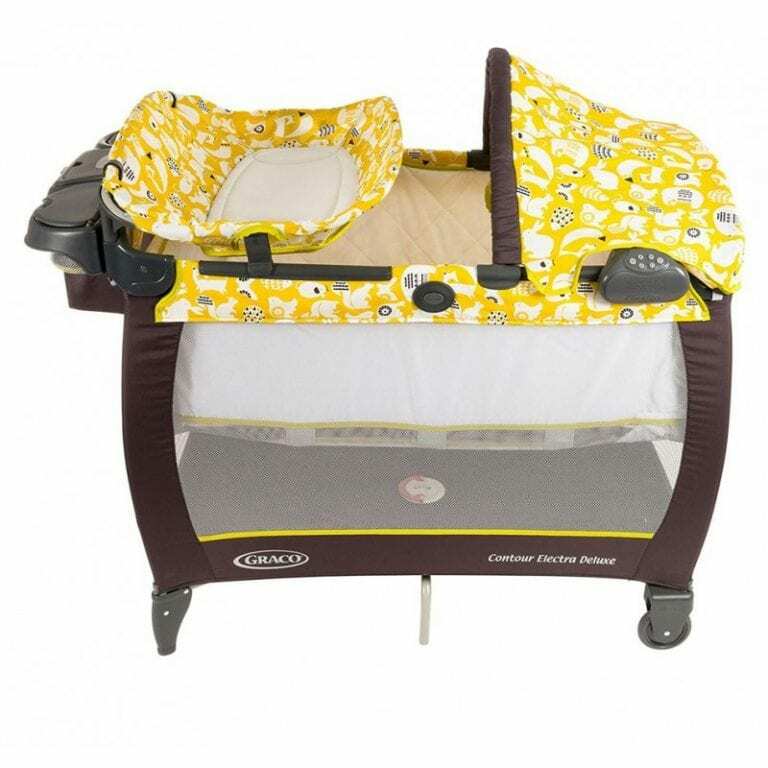 The cot has a removable diaper container and a stable mattress for the ultimate in comfort. Two wheels and a patented folding system simplify traveling and stowing. Compact and designed to take up minimum amount of space; It starts as a crib with the full size bassinet and additional napper, and then it becomes a portable travel cot with wheels. Ideal for use at home or while travelling.